Not using using analytics: Today, the behavior of the search engines has changed. Now, it’s more about getting quality traffic than quantity. Getting massive free traffic to the website with a particular keyword is not the main aim. It is all about converting a maximum number of traffic to customers. Remember, there are times when lower-traffic phrases will convert better than the others. This happens because they are more specific and getting rankings for several of such key phrases is important for your business. This is because they are more specific and can drive in more sales. And, how do you know which keyword is driving in more traffic? Of course through Analytics report. Through different analytics packages you can track keyword phrases and compare them to see which one is producing better results. Thus,you can concentrate your focus on one or two keywords and be easy on the others. Optimize for local search too: Many a times the entrepreneurs focus on getting global visitors to their sites and stop focusing on local optimization. You should not make the same mistake. Optimize your website for local search too. There are loads of benefits of optimizing your website for local searches. That is the reason you should optimize for region-specific keywords. Include your local phone numbers and addresses while optimizing a website. You can also get your website listed on local directories and review networks. Not having unique title and meta tags and descriptions: Every page of your website should have an unique title and description. There are websites that have the company’s name and title as tags for all the pages of the websites. It is a damaging mistake that most of the companies are making. You should not make the same mistake. Not just for SEO benefits unique title tags and meta descriptions are beneficial when your page information is shared on other sites like Twitter and when your company information is bookmarked. That is the reason why you should use unique, descriptive titles. Mostly the anchor texts are not used for internal links: Links in the body of the webpage that say, “click here” or “enter here” are not helpful. So, the anchor text should be something useful. You must link the other pages of the website with hyperlinks with interesting and useful words or phrases. These are a few of the mistakes that you mustn’t make while optimizing your website. Avoiding this will not just help your website to gain good ranks in search engines, but, will also help your site to get popular with potential customers. If you want to attract the users and audience to your web site, you certainly need to make it as attractive as possible. However, only design and graphics are not enough to engage your audience to the point of conversion. You cannot avoid the importance of the search engine optimization of your website. There are many sides to the SEO campaign and you need to have them all for the success of your web site. One of the most common techniques used is the onsite SEO. 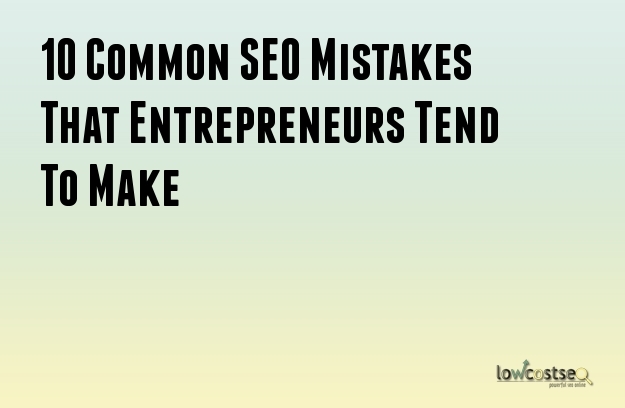 Nonetheless, you may end up making some common onsite mistakes that may cost you the visibility of the site. The mistakes that must be avoided at all costs are given below. Content is a very important part of any website. If you do not have content in your site or of it is thin, the SEO efforts will not be fully successful. It will certainly affect your visibility in the search engines. The content should be original, long and of high quality. Make sure you do check for plagiarism before you post the content on your site. Targeted keywords are essential and they play a major role in getting the site the visibility it needs. You can perform an SEO audit to determine the feasibility and the success of the keywords. The web crawlers will crawl through your site easily if you have proper internal links. With these links, the crawlers will also understand which pages are more important and should have more visibility. This is another mistake that most people make frequently. They forget to make the URLs as targeted as possible. The URLS must also be clean and descriptive for the SEO campaigns to be more successful. H1 tags are a very important part of any page and they need to be paid as much attention as the content body. Moreover it will also help the search engine crawlers to get better foray into it. If you have more than one versions of the site, like a web site or mobile site, the content is bound to overlap. It is essential that you link the sites to each other or Google will penalize you. You can also redirect the page with duplicate content to the one with original content making the process even simpler. This is another reliable method by which you can tell the crawlers or Google bots which webpages are important. As such, make sure that you generate a proper sitemap.xml for your site. You need to make sure that the metatitles and the meta descriptions are targeted as well. Moreover, you need to make sure that the metal title and meta description is different for every page. There are tools for solving this problem and you can take their help to fix the weaknesses that you web site may have. If you follow these certain tips, you SEO efforts will surely be successful.